The Function of Enzymes in Nutrition | Healthy Reflections® - A Division of Healthy Alternatives Inc.
Food Enzymes for Health & Longevity by Dr. Edward Howell, Lotus Press, 1993, p.17. ENZYMES – The Fountain of Life by D.A. Lopez, M.D., R. M. Williams, M.D., Ph.D., M. Miehlke, M.D., The Neville Press, 1994, p.1. The Complete Book of Enzyme Therapy by Anthony J. Cichoke, D.C., Avery Publishing, 1985. The Function of Enzymes in Nutrition, Arlene A. Bushard, N.D., 2007. 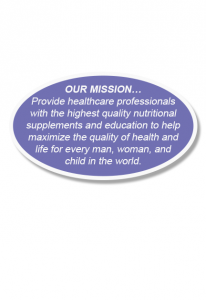 Nutritional Support *– The foundation for good health! The typical American diet consists of highly processed enzyme-deficient cooked and processed foods rich in artificial ingredients, chemicals and preservatives. Our denatured Western diets offer no help to our natural digestive processes. To fill the gap left by enzyme-deficient processed foods, and to counter the devastating effects of stress-filled lifestyles on digestive health, enzymes can help assist with the predigestion of the primary nutrients missing in cooked and processed foods. When the body is lacking one or more of the primary enzymes to digest proteins, fats, carbohydrates and fibers, the delivery of essential nutrients is likely inadequate to support cells within the body to achieve optimal efficiency. To assist with digestion and the digestive process, enzymes derived from plants are an excellent option. Enzyme deficiency may result in common digestive tract discomforts, lagging energy, fatigue and poor health. Support the nutritional needs of the body with digestive enzymes to acquire the required nutrients from food! The ticket to better health! The Importance of Nutrient Acquisition and Healthy Digestion – HEALTHY REFLECTIONS® believes the importance of wellness is simple – give the body the nutrients it needs, clear away the waste, and allow the body to manage its resources. We call this “The Basics” because no matter the health condition, this is where you start. HEALTHY REFLECTIONS® strives to help educate and communicate the importance of a healthy digestion system, healthy elimination channels, and a healthy immune system. A variety of products are available to support this approach to health. Please note that many of the designs on this website were created for Healthy Reflections® and are protected by copyright. Copying these designs is unlawful. All the content on healthyreflections.com — and www.healthyalternativesinc.com — is the property of HEALTHY ALTERNATIVES INC™ and protected by copyright. All rights reserved.